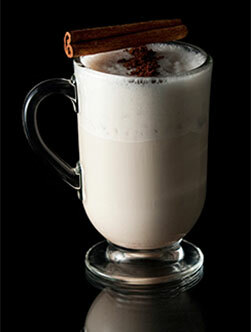 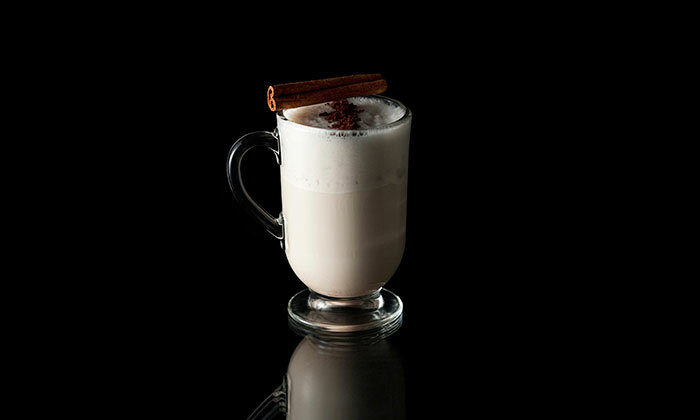 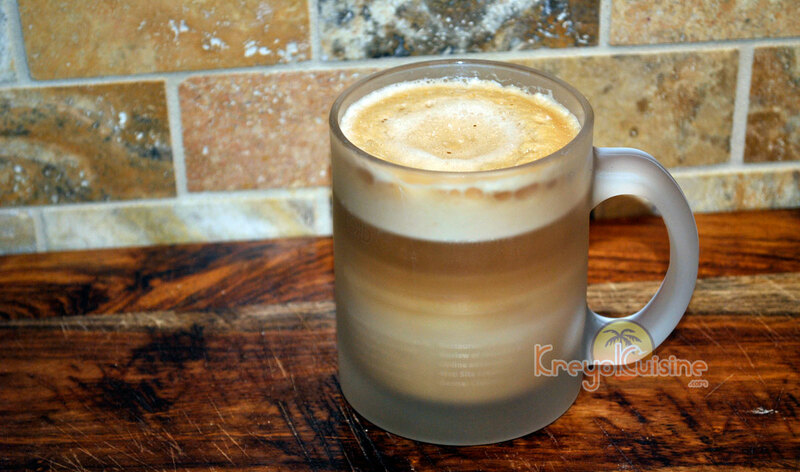 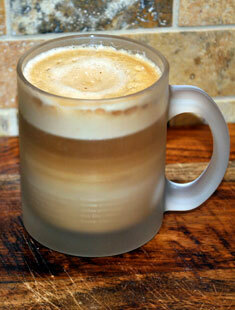 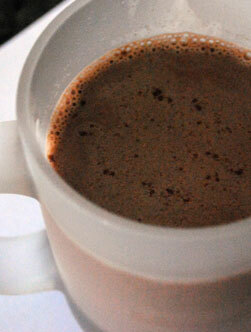 The African Moka is an easy to make drink that makes it possible to enjoy coffee in a different way. 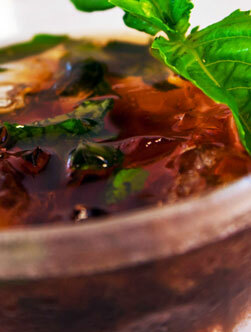 The Blue Bayou originated in New Orleans during Mardi Gras and is served up to beat the heat of the deep South! 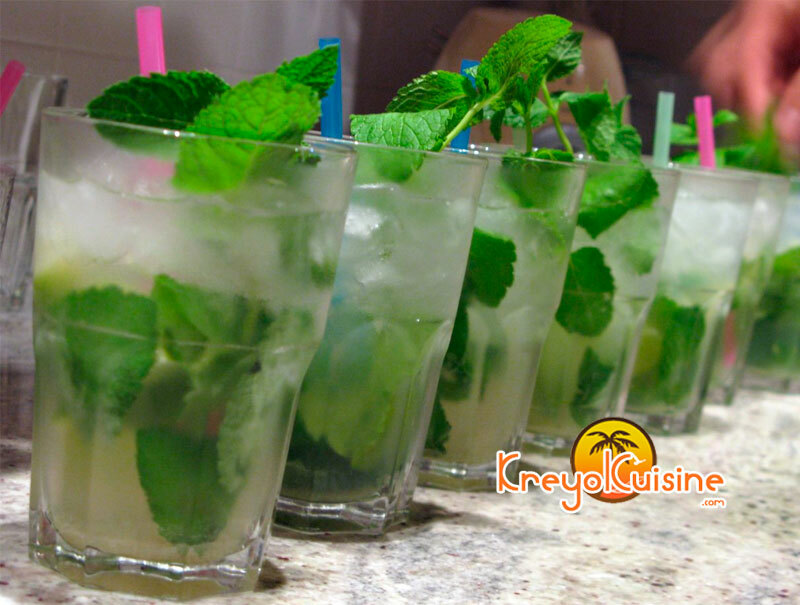 A refreshing non-alcoholic concoction that has many virtues. 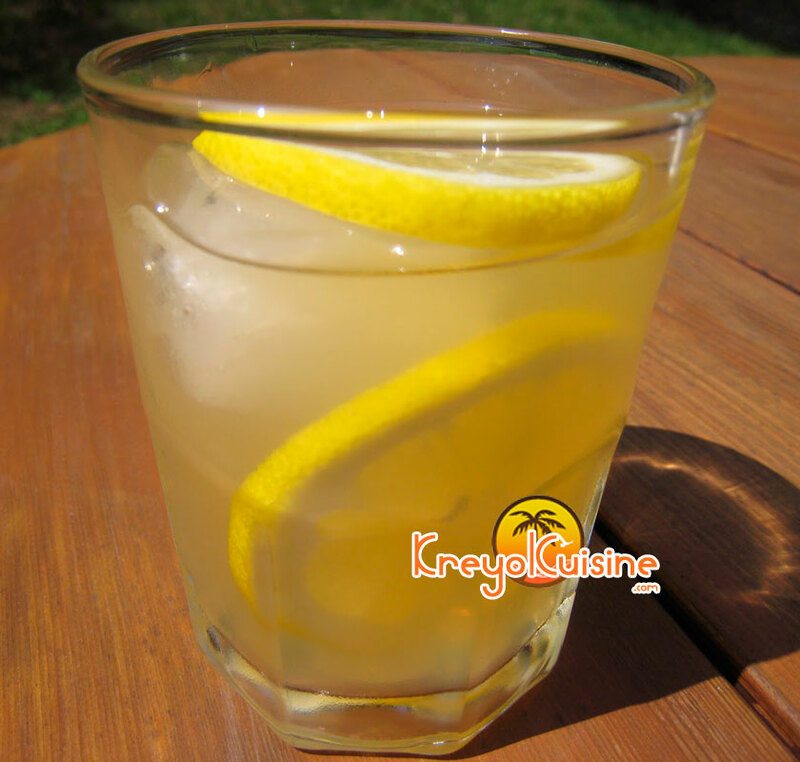 In times of great heat the mauby is a very pleasant drink that is found all over the Caribbean. 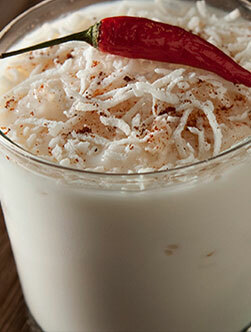 A Creole favourite to finish a meal, accompanying my dessert or a hot cornbread. 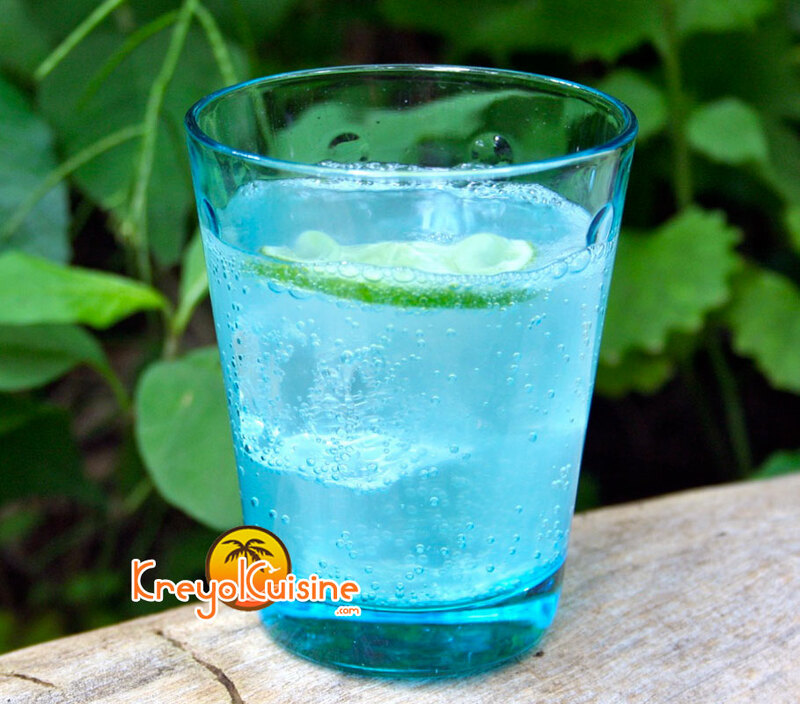 This drink is perfectly refreshing on a hot summer day. 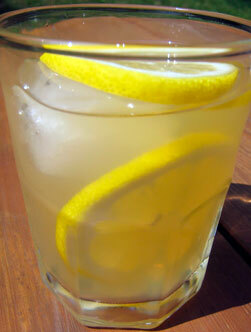 The Cayenne pepper brings out the sweetness of the lemons along with the honey. 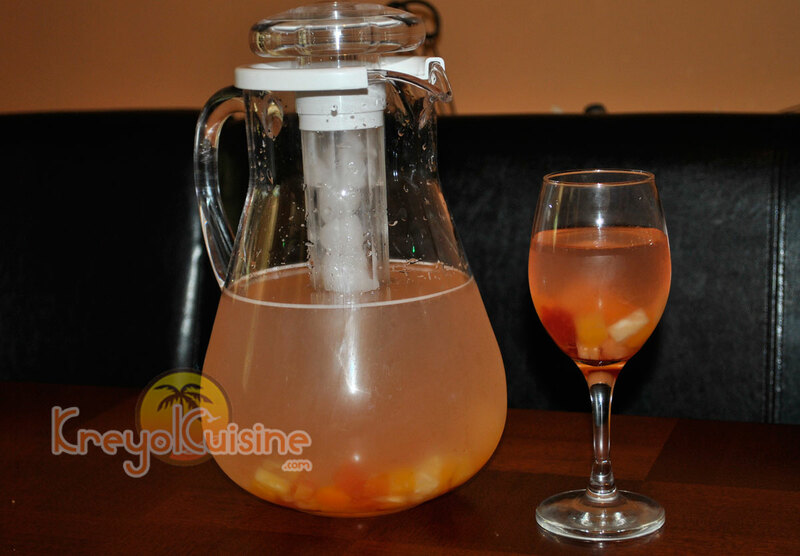 This is the easiest punch recipe ever. 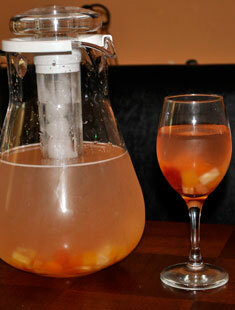 It was a big hit at our wedding. 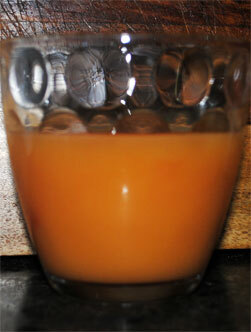 You can replace any of the juices with peach juice and it will be just as great. 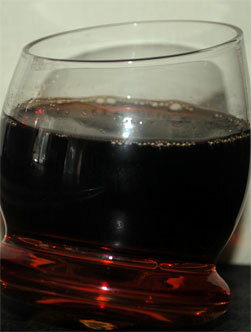 This is a really simple way to improve basic rum. 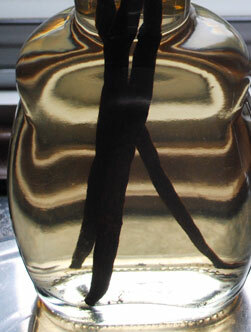 Vanilla lends a richer and more interesting taste to ordinary rum. 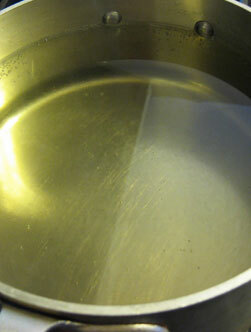 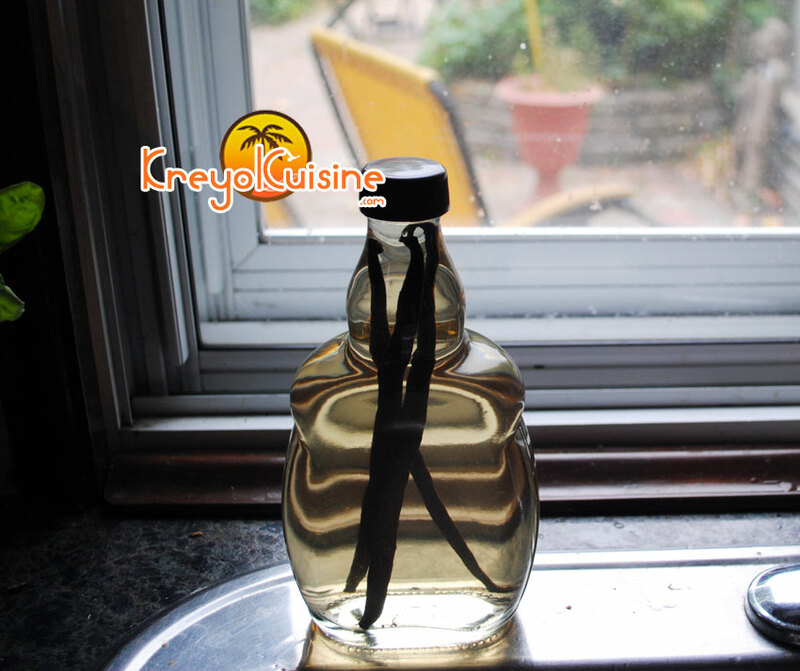 you can also use this to replace vanilla extract in recipes. 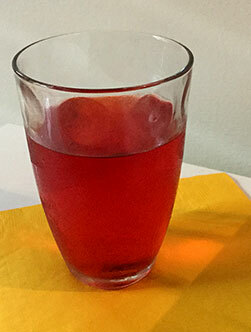 A drink originally from Argentina, this sangria recipe reminds colonial ties to Portugal and Spain. 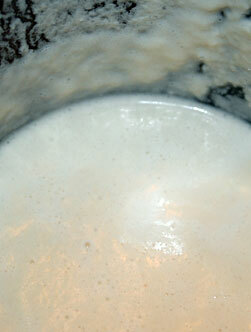 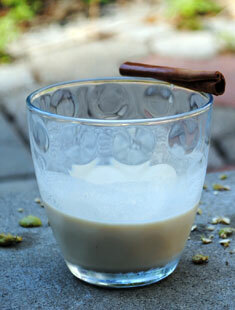 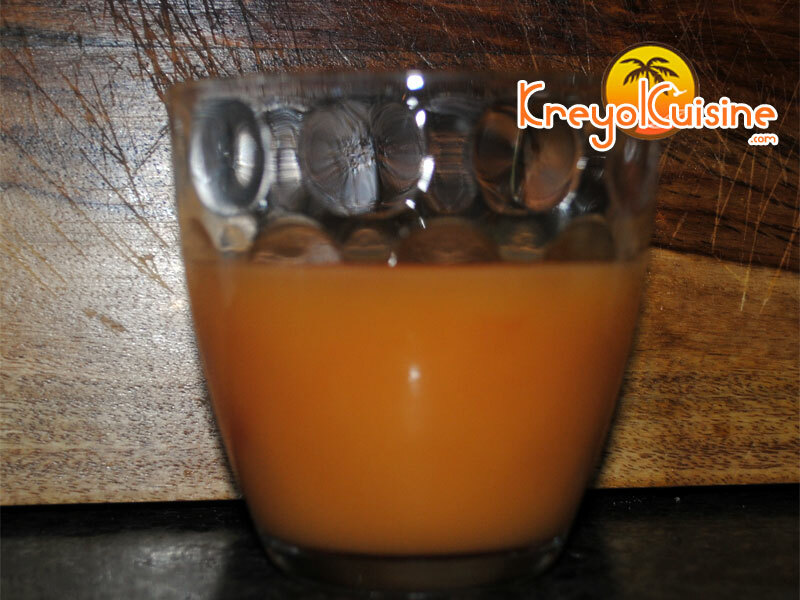 An alcoholic drink with a sweet, creamy texture originally from Haiti. 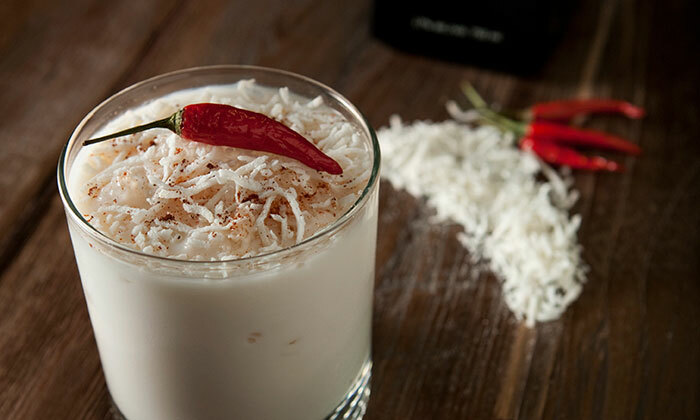 With patience, impossible to miss this recipe. 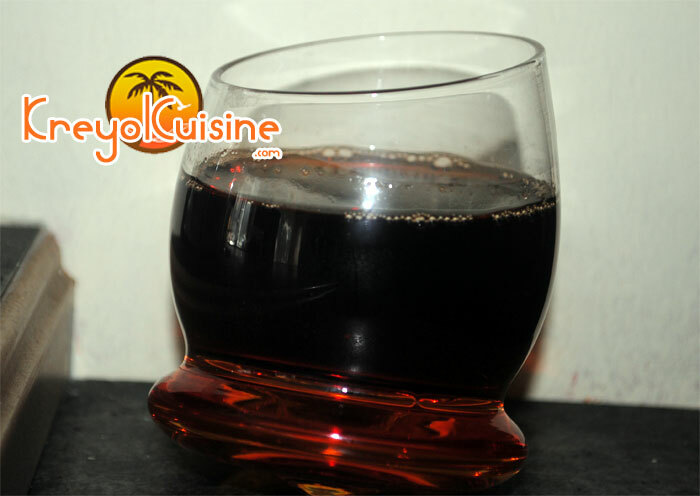 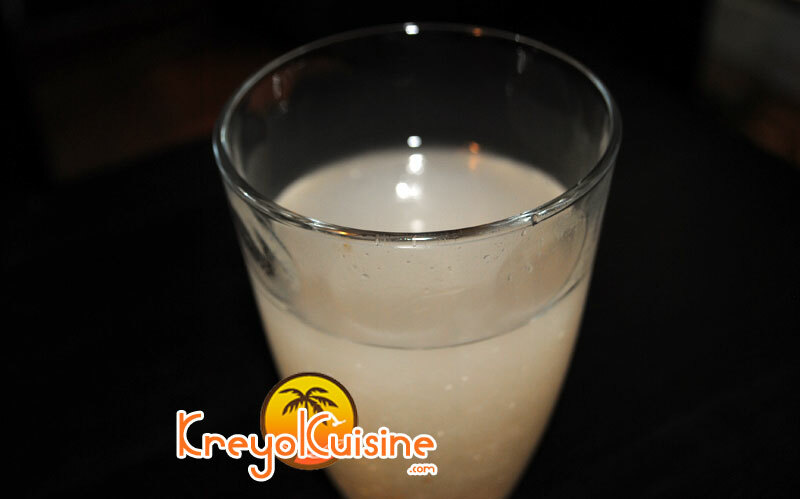 Soursop juice is one of the simplest ways to enjoy this very delicious tropical fruit. 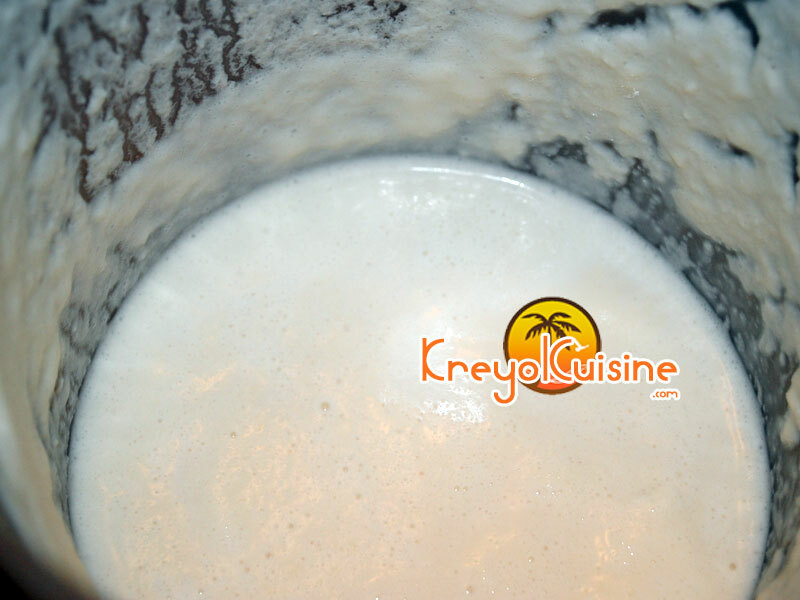 Enjoy the taste of the Islands: delicious mango smoothie recipe with ice cream and milk. 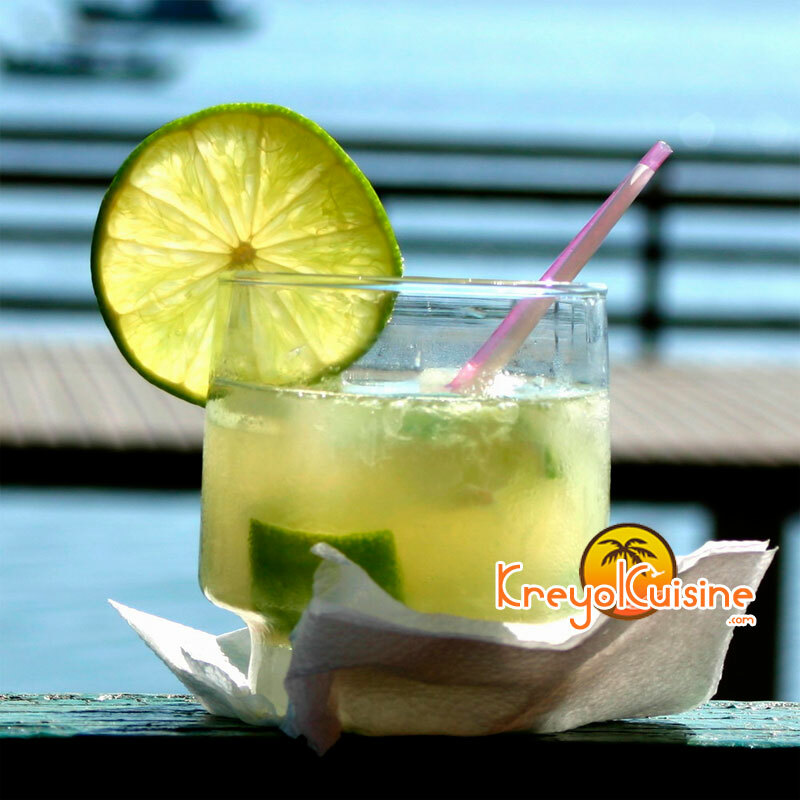 This mango smoothie must be served very cold, you can add extra ice cubes when serving. 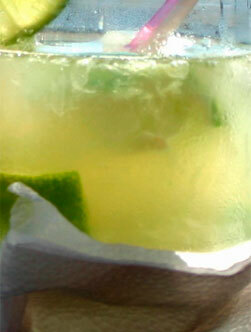 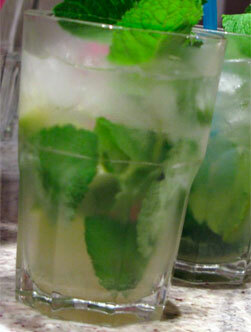 Considered Cuba's national drink, this lime and rum cocktail is the most famous rum-based highball. 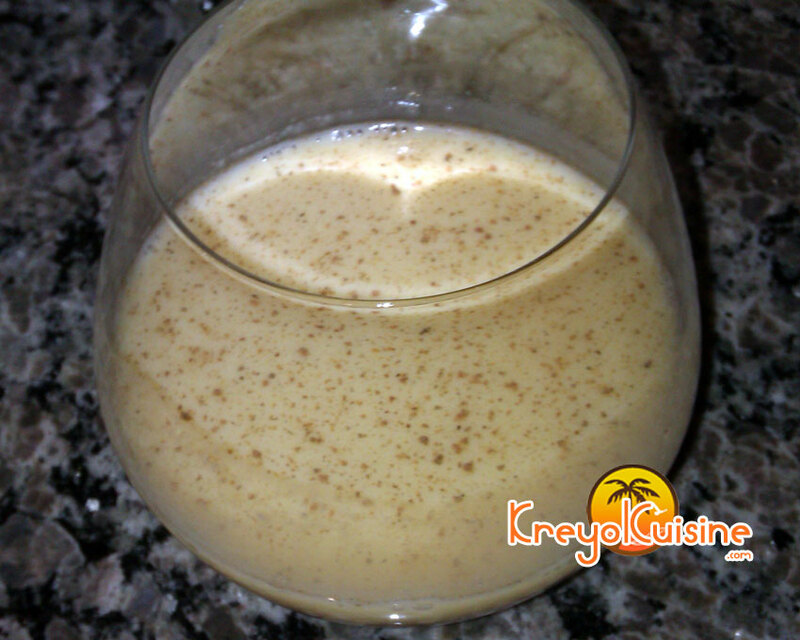 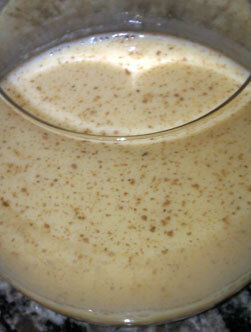 Inspired by a traditional English drink for the holidays, this recipe for eggnog highlights the taste of mango. 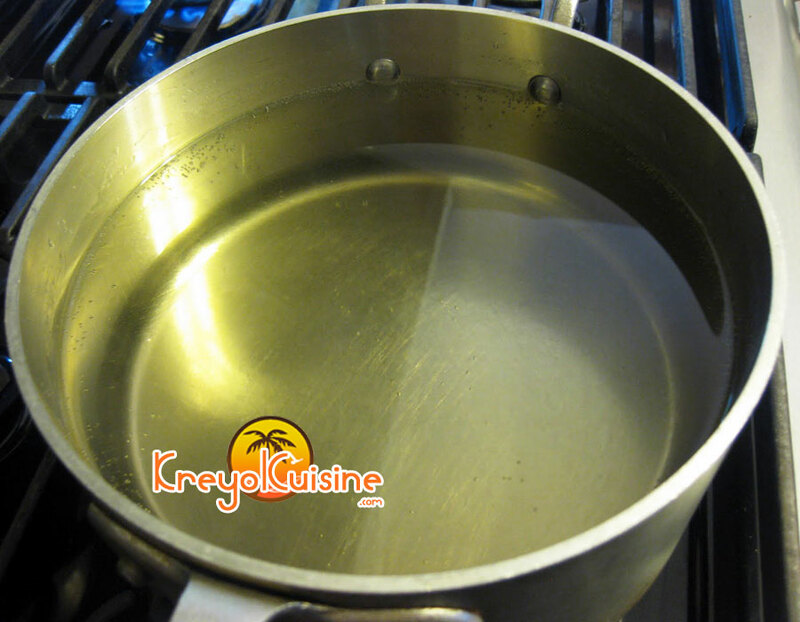 Better known amongst Haitians as Té Po Lay, this hot brew is very effective in relieving stomach pain, especially bloating. 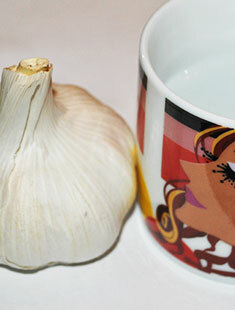 This recipe only calls for the skin of the garlic and not the actual garlic. 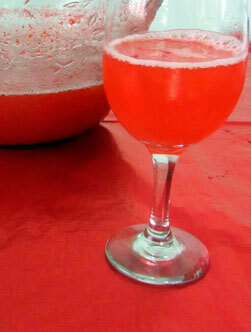 The punch is always welcome at small intimate parties. 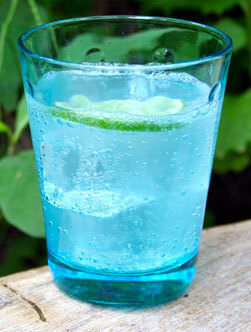 Without alcohol, it is a must for children's parties. 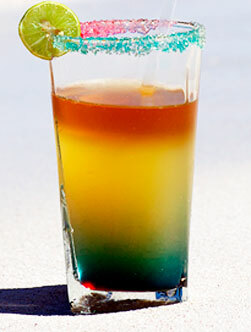 Created on the beach at Raisinier au Môle Saint Nicolas, the Mole Saint Nicolas Sunset is perfect when contemplating the sunsets on a lounger by the beach. 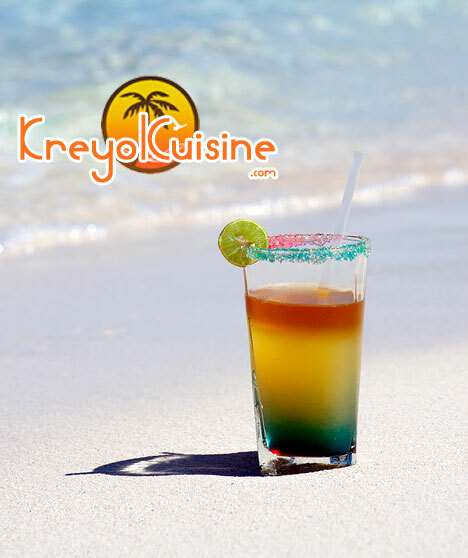 The colors of Mole Saint Nicolas Sunset are inspired by the Haitian flag, the Bolivarian’s, the sea and sky wink to Venezuela. 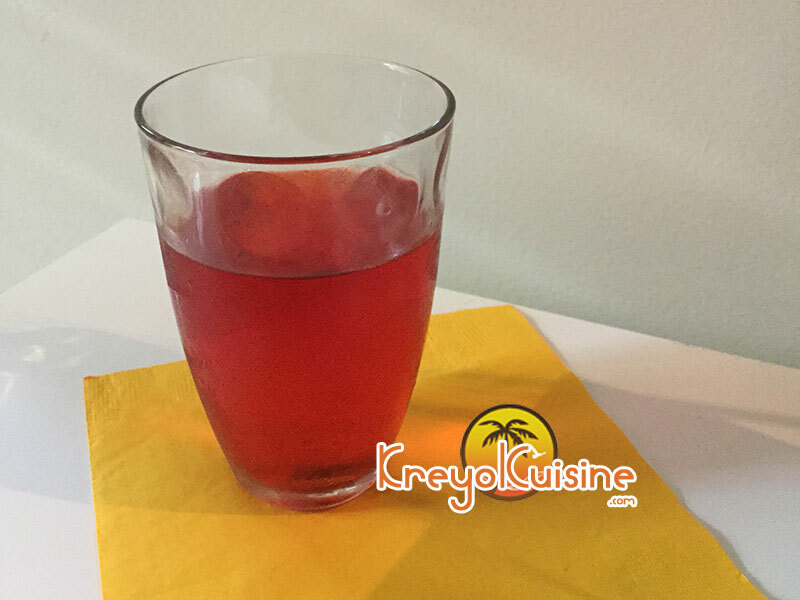 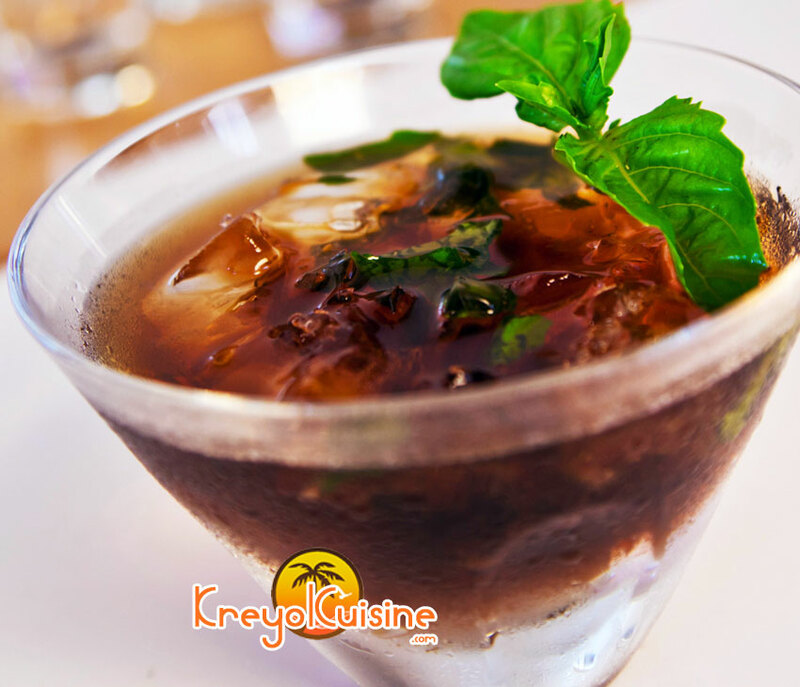 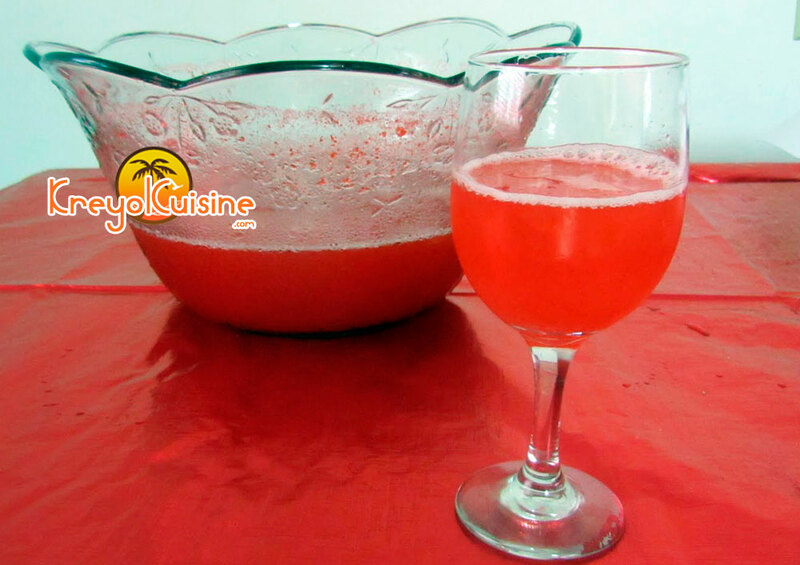 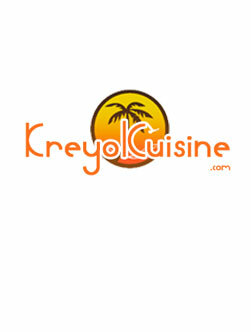 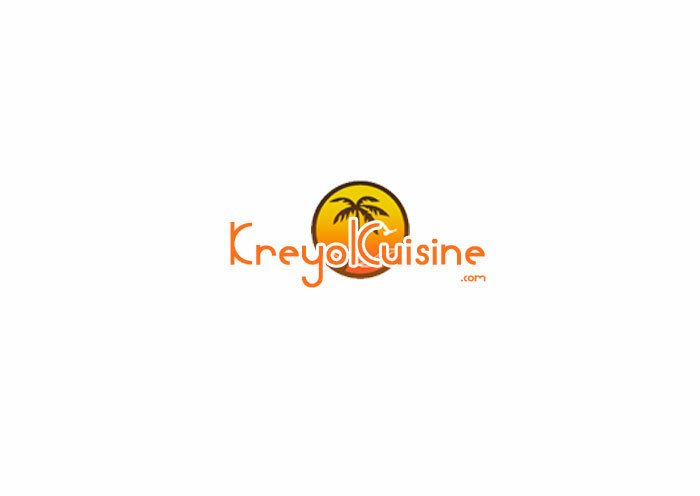 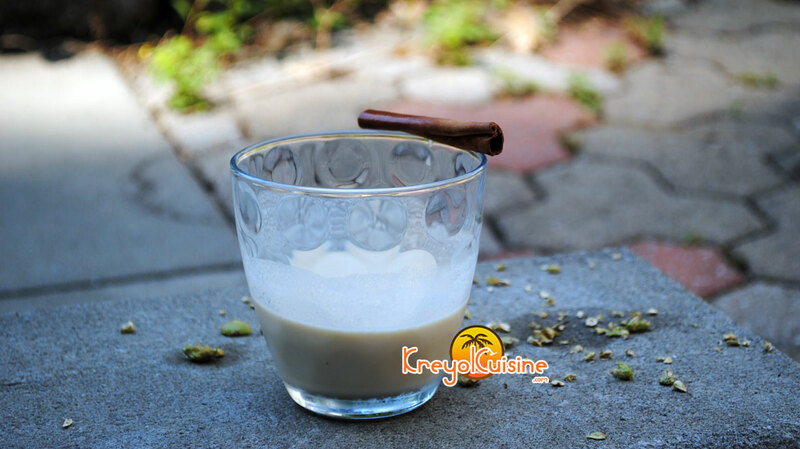 Inspired by the original recipe, Kreyol Cuisine offers a Creole version of Caïpirinha you can do for your guests during your parties. 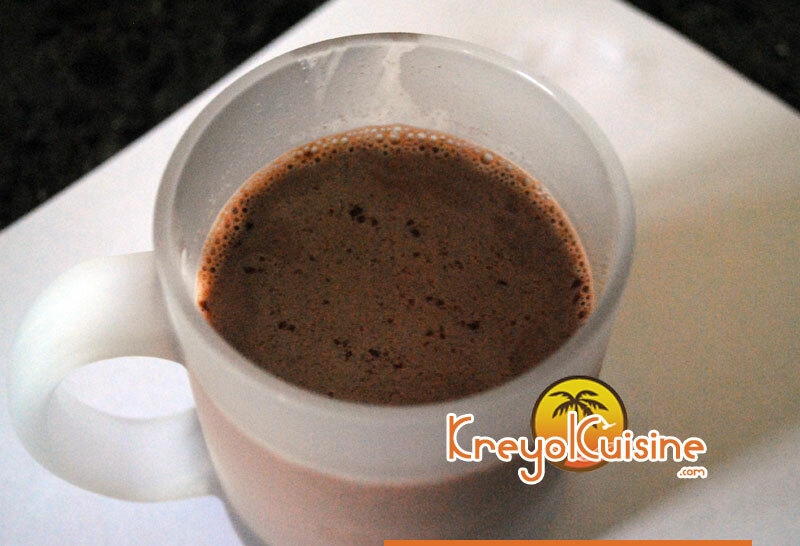 Whenever the temperature drops, this version of the Cuban hot chocolate gives a thick and creamy hot chocolate that will make you feel warm and fuzzy inside and out. 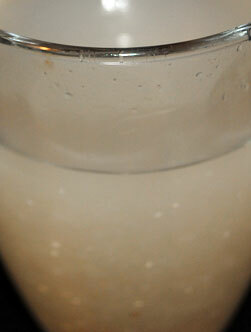 Delicious, this shake is as good with the fresh soursop than the with frozen pulp.